This stunning 5 BR/2 BA home is a must-see! 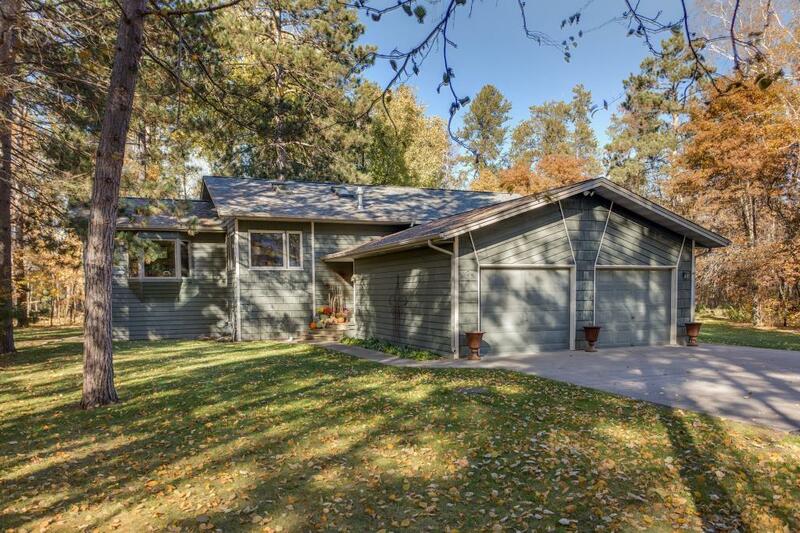 Enjoy the custom kitchen, vaulted ceilings in kitchen/living room, wood ceilings and crown molding throughout. Upper level sunroom complete with large windows and three season porch. 2 bathrooms complete with in-floor heat and lower level sauna. 5th Bedroom/Office offers built in bookshelves and statement wood ceiling. 28'x36' detached garage with heated shop and unfinished loft ensures space for all your toys! 1.63 acre heavily treed lot features a large garden, fire pit and room to explore! Not a detail was missed in this home!